These brushes recently previewed backstage at New York Fashion Week, during the Nicole Miller show, where Mary Kay was the exclusive makeup and skincare sponsor. Mary Kay Global Beauty Ambassador, Luis Casco, led the team of makeup artists at Nicole Miller as he was instrumental in the development of these brushes for Mary Kay. Every one of these must-have brushes boasts masterfully-crafted synthetic bristles that are an ideal match for today’s advanced makeup formulas. Compatible with liquids, creams and powders, these engineered fibers combine the precise uniformity of synthetic fibers with a textured surface. 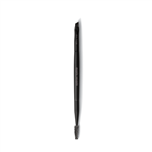 First, sweep, smudge and sculpt like a pro with the Eyebrow/Eyeliner Brush. On one end, the wired spoolie tames and brushes through brows, while on the other, the firm, angled synthetic brush provides precise application of eyeliner. The ingenious shape and design make it easier to master the top techniques like a pro. Next, the Liquid Foundation Brush uses feather-soft synthetics. Lush, dense bristles hold just the right amount of liquid foundation, from the lightest to creamiest of formulas. The angled flat top provides a dual benefit, foundation can be applied directly to the brush, rather than the back of the hand, reducing mess and conserving product. 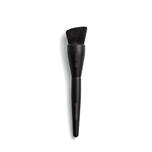 The slight angle of this brush reaches every unique contour of the face, helping to blend seamlessly. Third, the rounded, high-grade bristles of the Cream Color Brush provide consistency while feeling soft on the skin, mimicking fingertip application for a streak-free finish. The softly tapered shape helps precisely apply cream products including eyeshadows, concealers, lip colors and more, without pulling or tugging at delicate skin. Pro Tip: Use the tip of the Cream Color Brush to help cover small imperfections with concealer and the flat side of the brush for larger areas. Then, crafted into precise shape for ideal performance and application, the Powder Foundation Brush provides perfect pickup and even, controlled application of powder foundation. The dense, plush rounded top allows for easy build to desired coverage with minimal dusting. The medium-sized tapered shape of the All-Over Eye Shadow Brush helps the brush fit naturally into the eyelid’s delicate contours; flexible bristles make quick work of blending to help diffuse edges. The All-Over Powder Brush offers plush, full, domed bristles designed to help pickup and evenly distribute the perfect amount of face or bronzing powder. Meanwhile the Cheek Brush is a multitasker featuring a 3-in-1 shape designed to enhance, sculpt and highlight cheekbones without leaving harsh lines. Pro Tip: Use the Cheek Brush’s long, tapered edge for a more contoured look and the shorter edge for enhanced precision. Flexible with an angled tip, the Eye Crease Brush is designed to fit within the contours and crease of the eyelid to add professional dimension to your eye look. Lastly, create detailed accents and smoky effects with eyeshadow or eyeliner the Eye Smudger Brush featuring a dense, tapered tip. 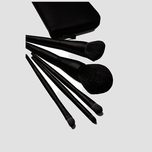 The Essential Brush Collection clutch is sleek and travel friendly with the five lush hand-crafted brushes that you need to deliver the ultimate consistent performance you can depend on with softness and flexibility.